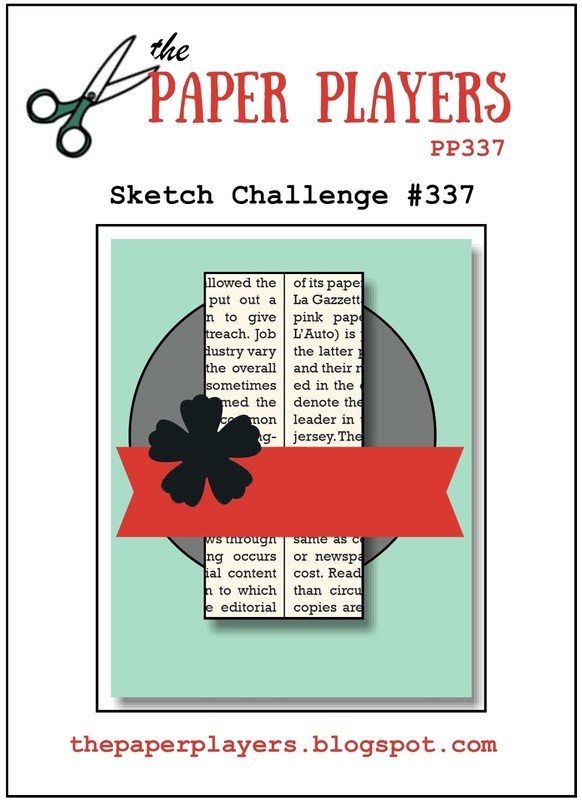 It feels like it's been so long since I've had a chance to play along with a challenge from The Paper Players, so I'm really excited to be doing one today. It's a sketch challenge from Claire and I really like it. I chose to go fairly CAS (uncharacteristically) because I wanted to use a new stamp set that I finally ordered. It's been on my wish list for a long time - Wild About Flowers! and I'm sure glad that I got it. I had an amazing time playing with it and that's just one of the three possibilities! 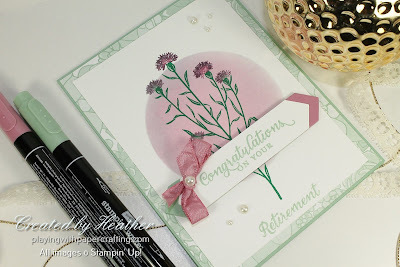 I sponged the circle in the background using a reverse mask - that is a piece of cardstock with a die cut hole in it. I used Sweet Sugarplum and Wisteria Wonder around the edges to get that look. 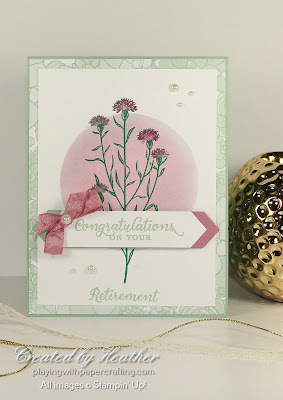 I stamped the stem of the wild flower from the Wild About Flowers stamp set in Emerald Envy. The thistle-like flowers that go with this stem I coloured in with a mixture of Mint Macaron and Perfect Plum on some and Sweet Sugarplum and Perfect Plum on the other two. 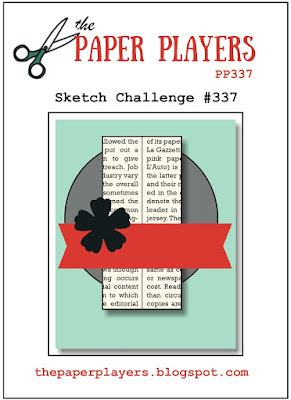 I used Stampin' Write Markers to do this. The sentiment is from the same set and comes in two parts, with choices for the second part, but I love the script here. I used an old faithful die set - Project Life Cards and Labels Framelits to die cut the top one. None of the other dies I had would fit. I used the same die to cut a Mint Macaron and a Sweet Sugarplum panel as well and layered them so that the Mint Macaron would extend beyond the Whisper White at one end and the Sweet Sugarplum at the other. The Designer Series Paper behind the front panel is from the Succulent Garden Series. A sweet little bow tied in the Sweet Sugarplum Ruched Ribbon adds the final element of the sketch, and a few pearls bling it up a notch. That's a wrap for this week. My newsletter will be out tomorrow just after 1 pm Pacific time so be looking for it then! Have a great weekend!